First spotted by Inverse, 20th Century Fox has shared a new tweet of a fully-costumed Wade Wilson bracing for some sort of reveal that is supposedly safe for work. The premiere itself has been slated for 7:30 pm Eastern – just before Legion season 2, no less – though some fans have already concluded that said announcement will have something to with the pink-haired mutant (Surge?) who featured in the latest Deadpool 2 trailer. It would go some way to explaining the Merc’s chosen color scheme, as it’s all but certain that Shioli Kutsuna’s newcomer and Surge are, in fact, one and the same. 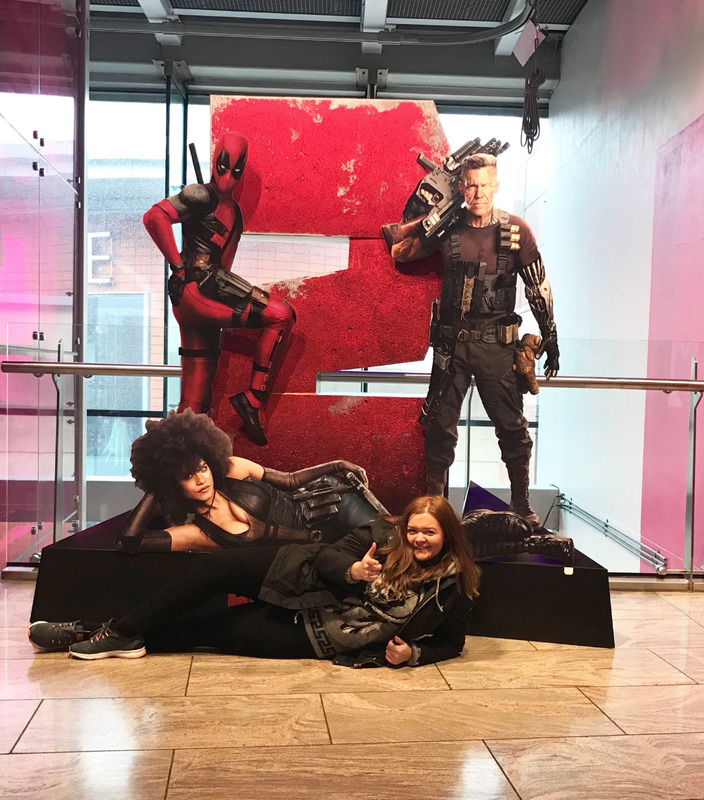 Elsewhere, a new Deadpool 2 standee has been spotted in the wild, which finds Wade Wilson beside his new frenemies: Cable and Domino. And speaking of those two supercharged mutants, word is Deadpool 2‘s recent spell of additional photography was designed to add more scenes involving Josh Brolin and Zazie Beetz’s respective characters. Oh, and a celebrity cameo that was shot on the streets of Los Angeles. The takeaway? Ignore any and all speculation that suggested the Merc’s second coming was in trouble. Besides, you didn’t think the Powers That Be would be bullish enough to bring Deadpool 2 forward by six weeks – and place it smack bang in the middle of Avengers: Infinity War and Lucasfilm’s Solo: A Star Wars Story, we might add – if they were staring down the face of a dud, now, did you? May 18th is the date for your diaries.